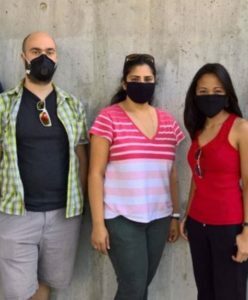 Worried about the health effects of toxic air pollution in West Contra Costa County? Get in on the ground floor of an important community air monitoring process. Join the free Community Summit to learn about a new state law, AB 617, which provides for extensive, intensive air pollution monitoring in communities affected by hazardous air pollution. Because of its mix of industrial and transportation pollution sources, Richmond/San Pablo is one of seven California environmental justice communities identified for monitoring. You don’t have to be a Richmond/San Pablo resident to participate and get involved. Free childcare for children 3 and older. Lunch and snacks provided. Saturday, Feb. 16, 10 a.m.–1:30 p.m.